Many leaders have heard the buzzword, read the book, picked up a pad and pen and headed out to the gemba to go see. Leader standard work is becoming a standard component of lean implementations everywhere. In essence it has always been a part, under un-buzzy names such as daily management and genba kanri. Leader standard work as a phrase seems to have some more staying power. In substance, leader standard work is all about sustainability and accountability built into the practice of daily, weekly and monthly checks of the actual condition of the gemba. Going to see is the easy part. All that takes is motivation and ambulation. The degree to which a leader can quickly grasp the situation during a gemba walk largely depends on the quality and variety of visual controls in use. But even with excellent visual management, gaining a deeper understanding of the what one is seeing requires thoughtful questioning and listening. This is what we might call a “soft skill” and it is an area in which many leaders who have risen through the ranks due to their keen minds working out problems and their unfaltering delivery of solutions, frankly struggle. Some leaders who have risen up from the front lines are more comfortable on the gemba. Others feel embarrassed that they in fact know so little about what really goes on and are afraid to expose themselves by asking questions. Others have no fear, but may waste time asking the wrong questions. Knowing what to ask and how to ask it are completely different things, and any leader preparing to practice standard work should first consider getting some frank input on their soft skills. 1. What is the standard? If you have to ask, you may not have shop floor management. Hopefully it will be clear at a glance thanks to good visual management. Even if it is clear, this question can be useful to as the area team leader or team member to check their understanding of the standard. 2. How do we develop a standard? In cases where a standard is ambiguous or lacking, this question can be the start of a fruitful learning and improvement dialog. Leaders should require standards that are documented, visual, and changing frequently as a result of continuous improvement. 3. How clear is the standard to those doing the work? Many times standards, rules or instructions may be posted as if to say “now we have visual management” when in fact there has been no thorough training of the people in the area to undergird these standards. Random audits by asking people about their work, such as “How do you know that the quality is good?” or “How much variation is allowed before you should call for help?” will reveal the depth to which standards have been put to use. 4. How clear is the standard to those not doing the work? Do we have to ask? If so, we may not have shop floor management, much less visual management. Leaders should require that they can understand the status of safety, quality and on-time output in less then 5 seconds each. A truly visual workplace facilitates a 30 minute walk through to give a complete understanding of a snapshot of the business. 5. What is our performance against the standard? Once the standard is clear, this is the first and most frequent question leaders ask when they go see. The response will generally be “on target” or “not on target” but the variation to these responses as well as the off-center replies we sometimes hear to this straightforward question can reveal a lot about how well people understand their standards, targets and the internal customer-supplier relationship. In all cases, the replies lead to more questions and more learning. 6. Why are we not performing to the standard? This is the classic definition of a problem and a golden opportunity for a leader to practice the 5 why questioning to help develop the thinking and problem solving skills of their people. Fight the urge to give the answer! 7. Why are we performing above the standard? The kaizen mind thinks that “no problem” is a problem. When we are consistently performing above the standard, we are either working to a false standard or we are using more resources than necessary. Both situation call out for creative thinking and continuous improvement. 8. What are we doing to meet the standard? This question gives people the benefit of the doubt that they have ideas, containment measures in place, or even full-blown sets of countermeasures underway. The goal of leader standard work is not to solve problems but to understand the situation, help others develop their thinking skills, and then to remove obstacles or even solve problems. This question enables people to present what is already being done or being evaluated. The soft skill required here is to bite your tongue no matter how bad the idea seems (provided it is not unsafe) and let people try and learn through failure. 9. What can we do to improve the current condition? This is an open-ended question that can be used as a catch all in any situation, any condition, any gemba. Be sure to have at least 1 small improvement in your own mind in case the person you are asking practices their reversing technique on you. 10. How can we make the abnormal condition more immediately visual? Often the reason problems persist is because they go undetected. The role of the leader is to demand ever greater degrees of visual management using quick, low cost means. The fully electronic display boards linked in real time to dashboards and ERP systems worldwide are almost never the answer, more due to the fact that they make it possible to avoid going to see than the inherent inflexibility and cost. Pencil and paper have the benefit of almost no learning curve, low cost and ease of correction. 11. Why do you think I asked you these questions? The true learning happens when people practice what is called metacognition: thinking about thinking. When we reflect on the thought process, the questions asked, the answers given, the follow on questions, and the discussion leading to a consensus solution, we look back and suddenly the whole process makes sense and seems so simple. It is easy to put a fish into someone’s bucket of water and call it dinner. That person may not know where to get the next fish. Only when they trace the fish back from the bucket to the hook to the water can they understand what to do the next time. 12. What other questions would you have liked me to have asked? This is the “respect for people” question. Some people speak their mind without hesitation when they see a leader doing their gemba walk. When a certain level of trust and mutual respect has been reached, it should be no longer necessary to ask this question as a way to draw out the true feelings and concerns of the people on the gemba. 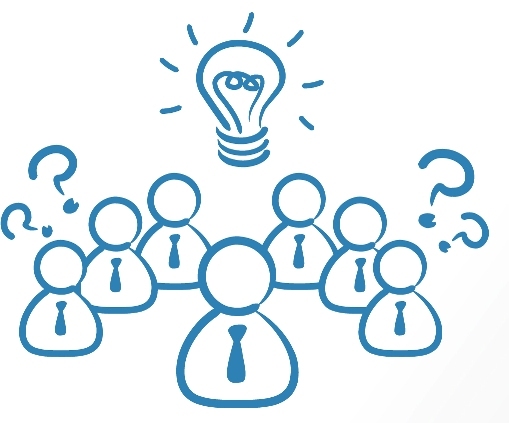 Once an environment has been created where it is safe to expose problems and share ideas freely, the main use of this question is for the leader’s learning. So, what other questions would you ask while practicing leader standard work? Thanks for writing this post. I shared it with a group of leaders I am working with. 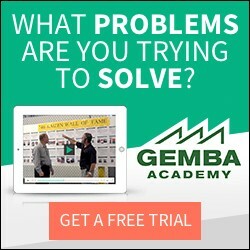 When leaders are first learning how to do gemba walks it is often hard to know where to start and what to do. These are great questions to help get folks started. This was helpful for me to apply metacognition (Interesting term). As we are taking our Lean journey in the business process space. It differs from the production applications in many ways and we often struggle with making the standard of work visible. Quality and standard often get converted to delivery time and throughput. The key perspective in here for me is to focus on what the customer expectations and measures of good standards are as we discuss our quality. Thanks for provoking the thinking. The twelve are a good list to select from, asking all 12 would be somewhat overwhelming, and too time consuming for an effective walk. What will I do if I do, or do not, find what I am looking for? Since you can’t possibly check everything every time, what will you be looking at this visit? Are you checking for adherence to standard work, proper use of A3 problem solving, 5S standards maintenance, effective metrics communication or any one of several other “expectations” that need the three R’s: reinforcement, recognition or retraining. What will you do when you find positive behaviors? How will you address not so positive situations? It’s like the guideline for divers, “Plan your dive (walk), dive (walk) your plan. 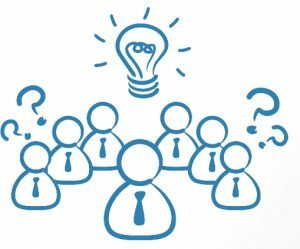 Just thought you would like to know, your 12 questions have gone viral … thanks to some Lean Leadership networking, I am now sharing your post with my own set of stakeholders. TO Gary’s comment, if 12 is too many, I can recommend these 3: 1) what is the standard? 2) what are we actually doing (i.e. checking if we are following the standard), and 3) what problems have happened recently? The last question may be redundant if the answer to #2 is that the standard is not being followed, but it is always good to let people tell a story about how a problem occurred or how they solve done.